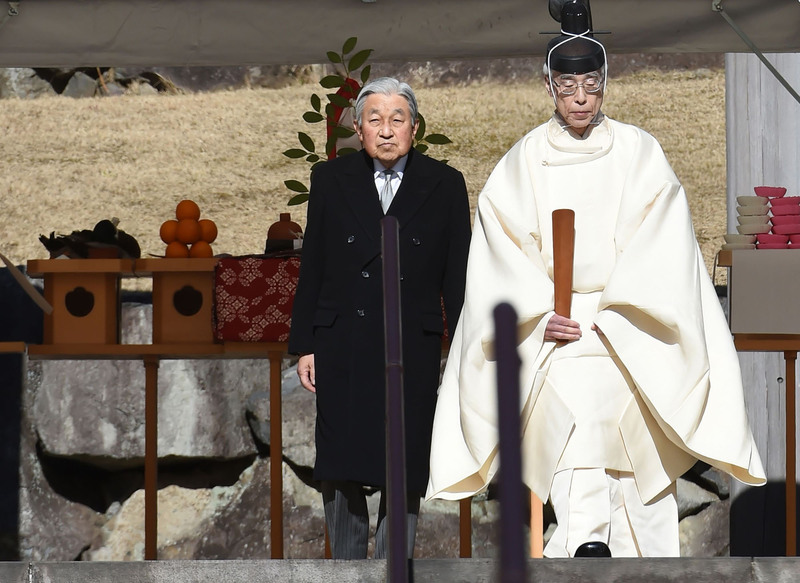 Emperor Akihito, who is set to abdicate on April 30, commemorated on Monday the 30th anniversary of the death of his father, Emperor Showa, at his tomb in Tokyo. 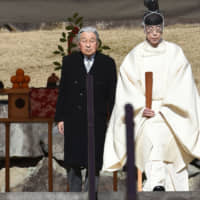 Emperor Akihito had expressed his desire to host the ceremony at the Musashino Mausoleum in Hachioji before relinquishing the throne, according to a senior Imperial Household Agency official. His wish is believed to have been a factor when the government decided the date for his abdication. About 80 people including Empress Michiko, Prince Akishino, the younger son of the Emperor, and his wife Princess Kiko, as well as Prime Minister Shinzo Abe attended the ceremony. The Emperor bowed before the mausoleum and read aloud a passage to mourn his father. Wearing traditional attire, Crown Prince Naruhito and Crown Princess Masako took part in another ceremony at the Imperial Palace on behalf of the Emperor and Empress. Prince Akishino’s daughters — Princess Mako and Princess Kako — joined them. Emperor Akihito, 85, ascended to the Chrysanthemum Throne at the age of 55 upon the 1989 death of his 87-year-old father, Emperor Hirohito, who became known posthumously as Emperor Showa. On April 30, Emperor Akihito will be the first living Japanese monarch in more than two centuries to step down. Such ceremonies to mark Emperor Showa’s death were held three years, five years, 10 years and 20 years after his passing. The government is planning to hold a ceremony to celebrate Emperor Akihito’s 30-year reign on Feb. 24. In June 2017 the Diet enacted a one-off law to allow the Emperor to step down, after he signaled his wish to retire in a rare video message in August 2016. In the video, he cited concern that his advanced age and weakening health could prevent him from fulfilling his duties. The government considered setting the abdication date in late 2018 or late March 2019, but both candidate schedules coincided with events such as ceremonies for the New Year, budget deliberations and nationwide local government elections. The government decided in December 2017 on the abdication date of April 30, 2019, in order to secure a “quiet” environment.